The face of marketing has changed. It’s the age of content marketing and all businesses, big or small, whether in tech, design or health and wellness, are embracing content to market their businesses. The premise of content marketing lies in empowering your potential leads, clients and customers with information while answering their questions about their problems and providing them with a solution. All this is done with content – through blog posts, copy on the website, eBooks you create, and other marketing information you produce. Health and wellness businesses are in the business of improving lives, and this is one area where people don’t want to take chances – well, because it involves their health. People need to know that they can trust you with their health. And for this, you need to establish your credibility and authority in the marketplace. The way to do it is through content marketing which paves the way for creating specific content which is relevant and valuable, giving your audience enough reason to pay attention to you. Potential customers or clients want and need information before making any purchase decisions. They want to be knowledgeable about their health, and they want to know that actionable help is readily available to them when they type out their query on Google. People are turning to the internet for advice and information- whether they are sick, or they have heard about new research or are curious about their health. In fact, one in 20 searches on Google is for health-related information according to the tech giant. That is a lot of searches for health and wellbeing related questions in a day, considering Google receives 3.5 billion queries per day. With that many searches taking place, your health and wellness business is in a prime position to create content which builds affinity for your brand, product or service. There is another benefit to content marketing, and that is SEO. You’ve heard the word, it’s everywhere and you probably already know that SEO is vital for your business to rank high in the Search Engine Results Pages (SERPs). This means when your audience types a particular search query also known as a keyword, and your business or service should show up in the search results — at least on the first two pages. When you create regular content like blog posts, you have the opportunity to rank for several related and highly targeted keywords, again and again, thus steadily improving your ranking. Now that we’ve established that content marketing and content creation is vital for your business, the question to ask is – do you have a documented content marketing plan? It’s a documented content marketing tool which organises the key elements of your content marketing efforts. It serves as a roadmap of your content marketing as it records and clearly defines the components that make up your content strategy. What are you going say and publish? When are where are you going to publish and distribute it? Who will produce and manage the content? How will you know that you have been successful in your goals? A content marketing plan is more than just an editorial calendar. It is a document which you can share with your team so that you are on top of your content creation process. It enables you to allocate resources needed for content creation such as hiring specialist health and wellness content writers or organising stock photos for your blog. This means you avoid unnecessary costs often associated with disorganisation. How can a digital content plan help you? With a clear content plan, you can streamline your content creation process thus making sure you do not miss opportunities to engage with your audience. Perhaps, you have planned to launch Couple’s Yoga classes on Valentine’s Day and are offering a discount for that week for new enrolments. Your content plan will tell you that you need to connect your new class to your blog post, which means that you need to create a sign-up form on your blog page and even a landing page to encourage people to sign up and pay for the new class. You would also know that by now you should schedule an email going out to your subscribers and you would have already prepared social media graphics and social media content which is already scheduled to publish on particular days before Valentine’s day. With a solid content plan, you and your content writers would also know the keywords you are targeting with this blog post, which helps your writers create an article which is optimised for SEO. 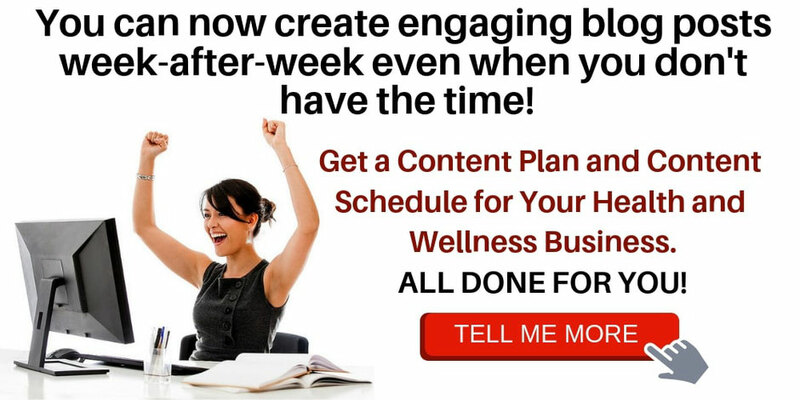 Your content plan will also tell you that you aim to get 20 couples to sign up for the new class in the first week or that you want this particular blog post to increase engagement on social media ( with comments and queries about your new class) by 10%. When you have goals set for any content tied to marketing initiatives, you then know how to organise and allocate your time and resources so that you make the most of your content creation process. Also, when you have a measurable goal, you know what procedures and action you need to take to create, optimise, publish and share the kind of content likely to hit those goals. 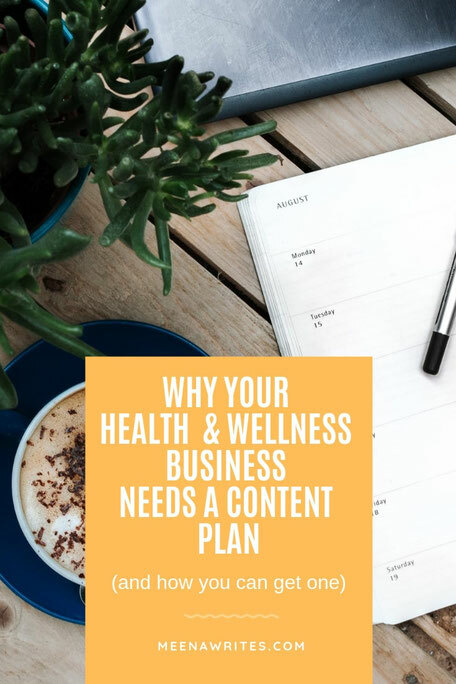 You may be a physiotherapist, a chiropractor, a massage therapist or a health store owner and at this point, you're probably wondering if you need to invest in a content plan because your business or service relies on walk-in traffic and referrals. Does content marketing even work for you? The answer to that is — YES, it does! Your walk-in clients and customers live in the digital space – most of them do. Before they decide to consult with you or buy from you, they are looking for information online. Potential customers are not drawn to promotions and local advertising anymore. They want the information. Today's customer is savvy, and they are concerned about themselves. Content marketing is perfectly aligned to inform and nurture their needs and serve them. As a local business, you can effectively use content marketing to become an authority in your local area of service. You can create blog posts and answer questions that relate to your customer's problems or tie in content with local events and local personalities. Remember you can rely on local walk-in traffic and referrals or grow your business and attract new potential clients with the help of an effective content strategy. And as you already know - for an effective content strategy you need a strong content plan. 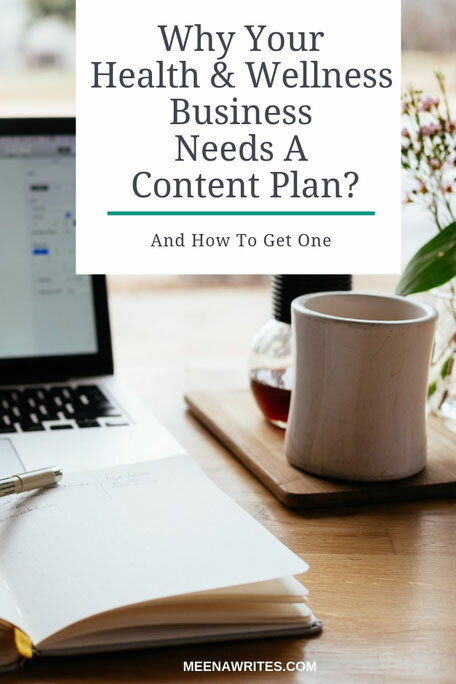 As you can see, having a solid content plan has numerous advantages not to mention how it can streamline your content creation process and deliver wins on your content through planning in advance. Creating a content plan takes time and effort. It’s not too late to plan your content for the next nine months and make sure that you stay on top of your content marketing efforts for this year. 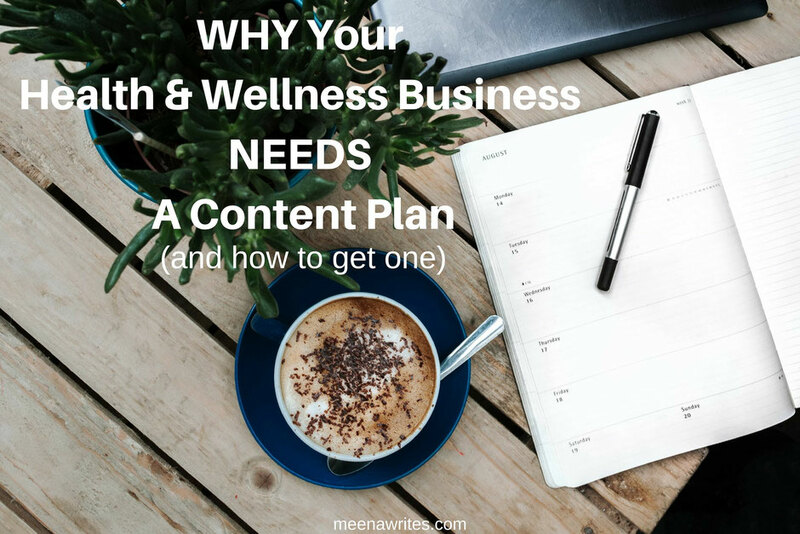 You can create a content plan for your health and wellness business using these steps (Read: How to develop a content plan for your small business) or you can spend your precious time doing what you love most and take advantage of this one-time offer for an effective content plan and editorial calendar which gives you targeted SEO blog post topic ideas and content ideas for the next nine months — all done for you!